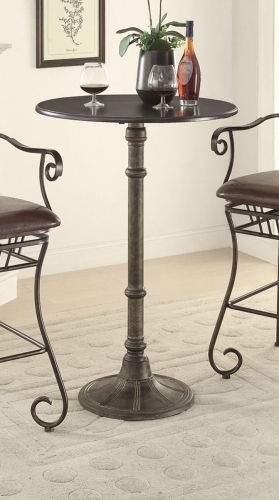 Add a touch of Paris to your dining room, kitchen or wine bar with this unique Coaster Oswego bistro group. 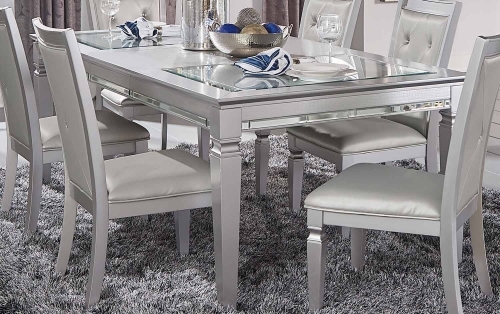 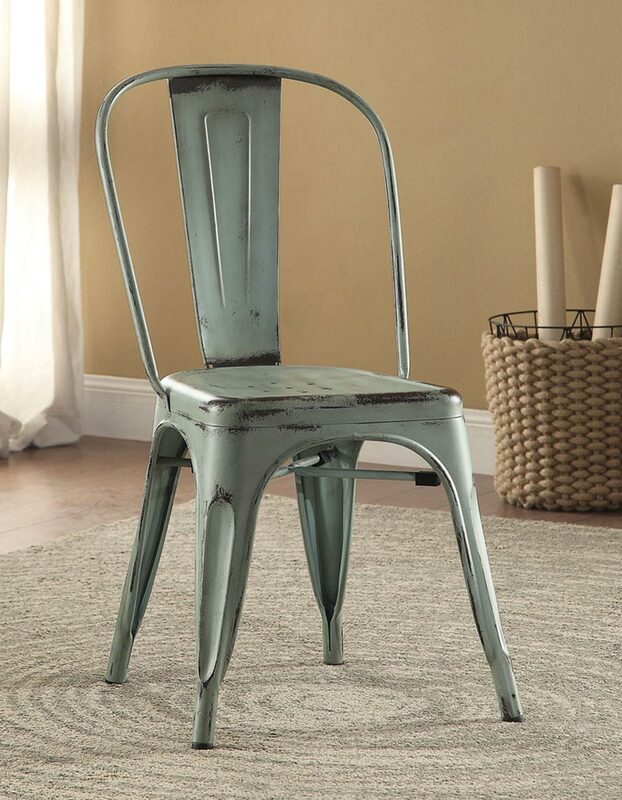 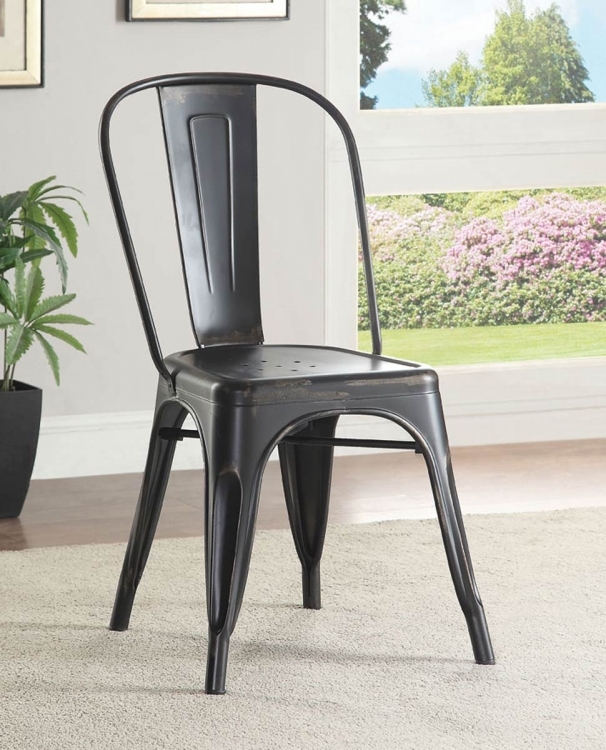 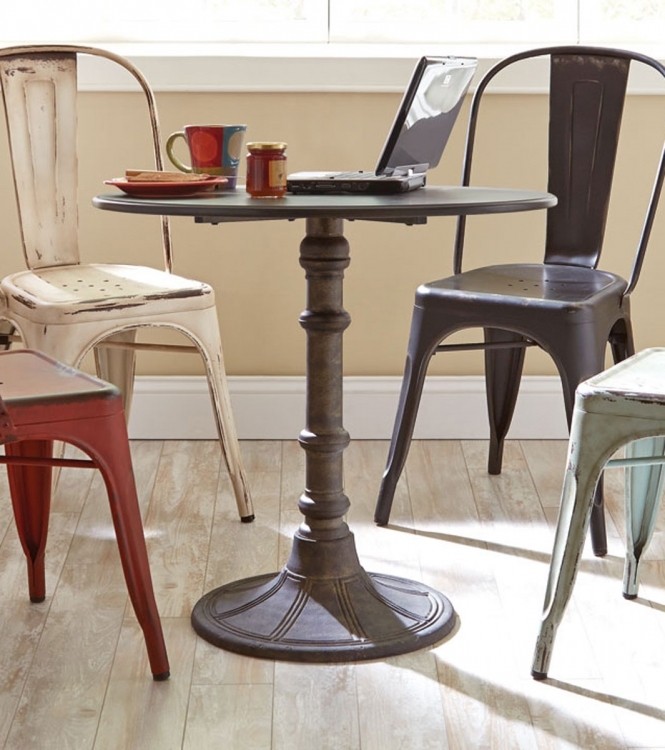 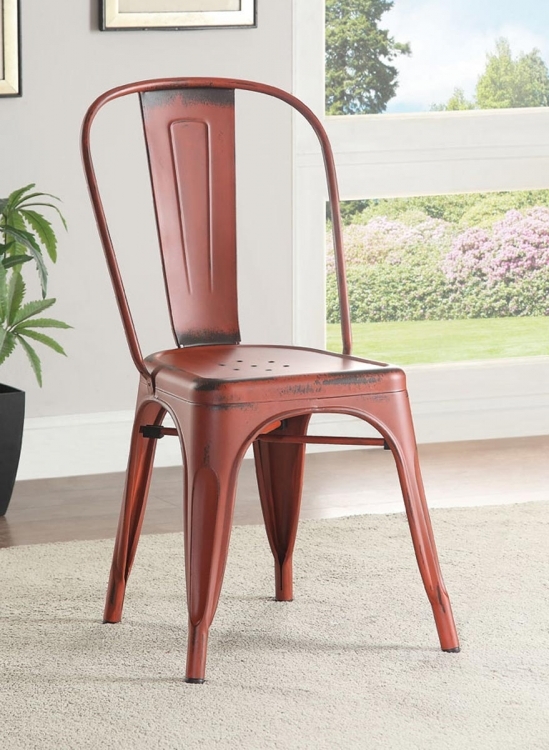 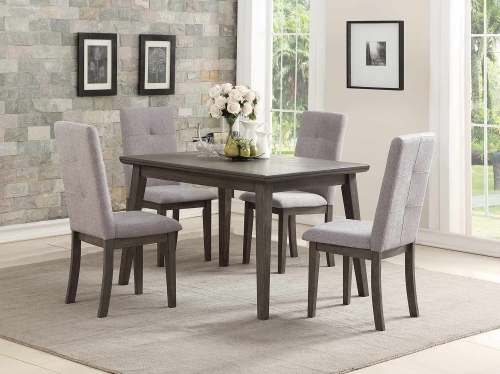 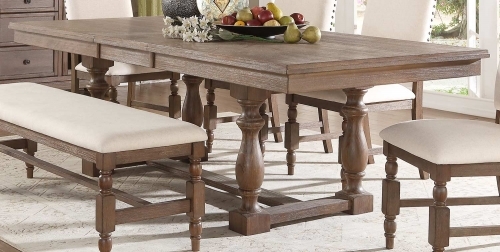 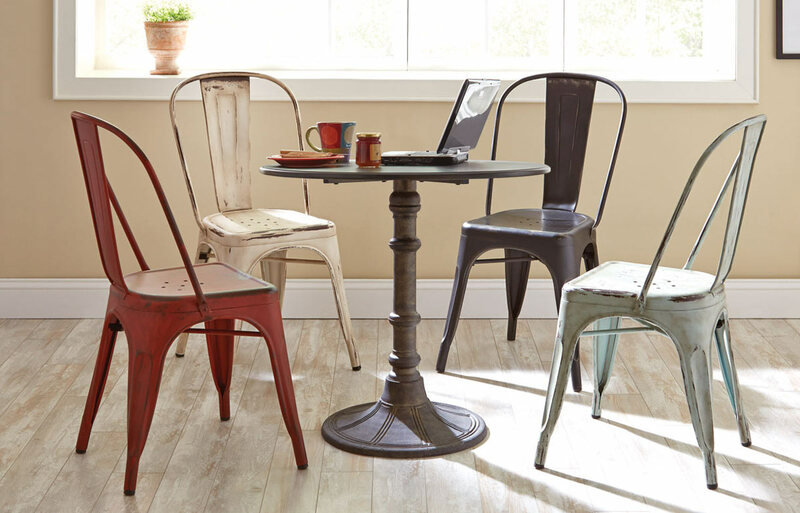 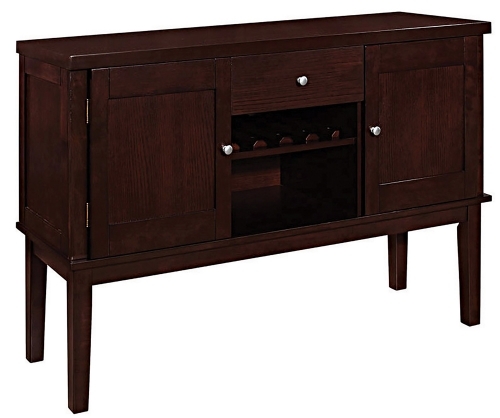 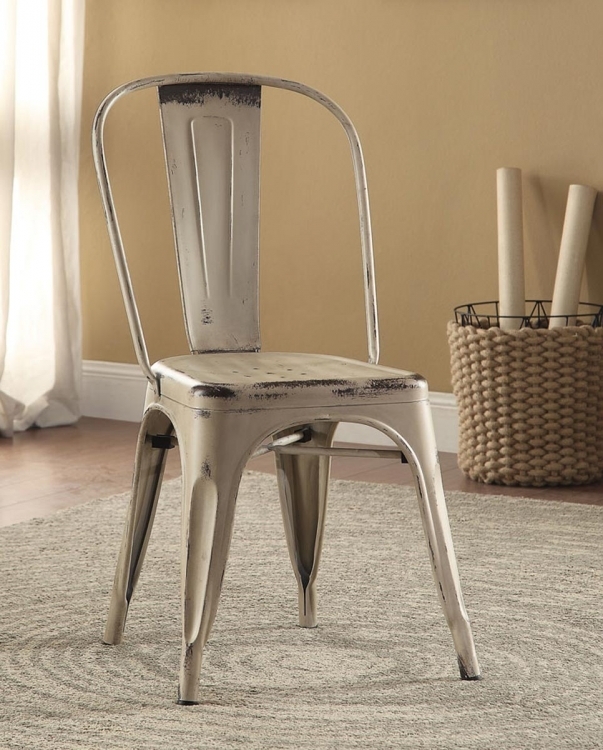 Available in dining and bar heights to be paired up with chairs that come in four rustic painted tones (black, red, blue, white) with antique bronze and galvanized finishes. 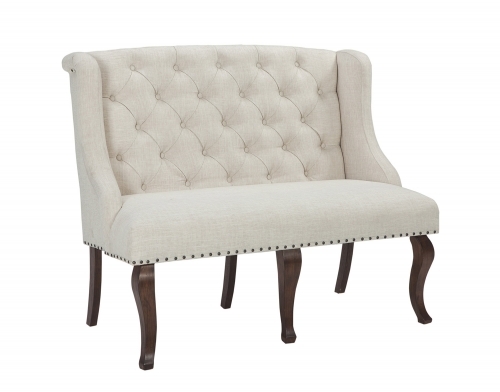 You may choose any of our parson chairs for a softer effect. 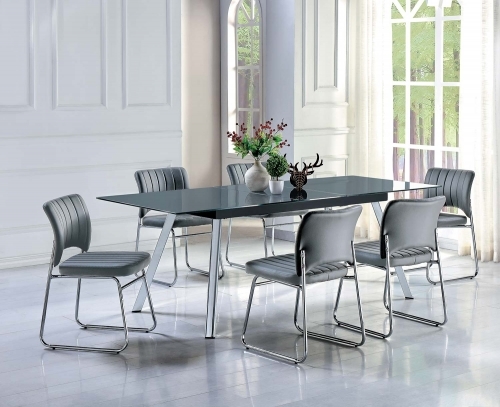 Metal chairs and table base. Hand painted creates a rustic look & feel.